Description: THE SAVOY. Yaletown one bedroom and den view suite. Fantastic SE views of Yaletown and False Creek. High floor with 9 foot ceilings, open kitchen, granite counters, gas stove and fireplace, walk-through closet, insuite laundry, parking and storage. Great amenities include indoor pool, hot tub, sauna, gym and guest suite. 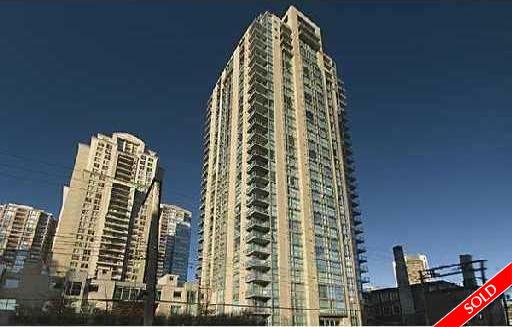 Excellent location minutes from Robson St and Yaletown.